Based here in the PNW, RFM has been producing ergonomic seating for more than 35 years. 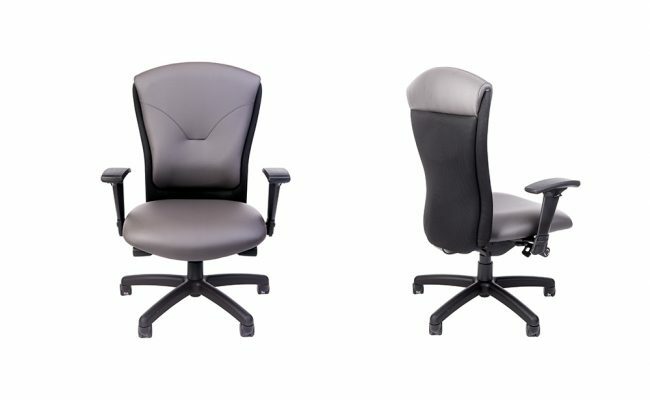 The Tuxedo task chair is distinct, but maintains the same high quality detail and comfort of all RFM task chairs. Tailored to fit you perfectly with a classic comfort feel, the Tuxedo is further customizable with either fabric or leather and comes with three different seat back options: medium, manager’s high back, and executive high back. In addition to back options, there are 3 different seat styles: tailbone cut-out, tractor seat and memory foam seat, all with different sizes available, as well as the option of seat sliders. With a weight accommodation of up to 300lbs, everyone can sit comfortably with their preferred seat. The customization doesn’t stop with the seat backs and cushions. Company logos and two color upholstery are also available. We love the Tuxedo because of its ability to work with any space, and any office. From the most basic of models, to the most designed, we know there’s a RFM out there for everyone.